If you’ve been looking for an excuse to travel to the Olympic Peninsula, the perfect opportunity awaits during Memorial Day Weekend. 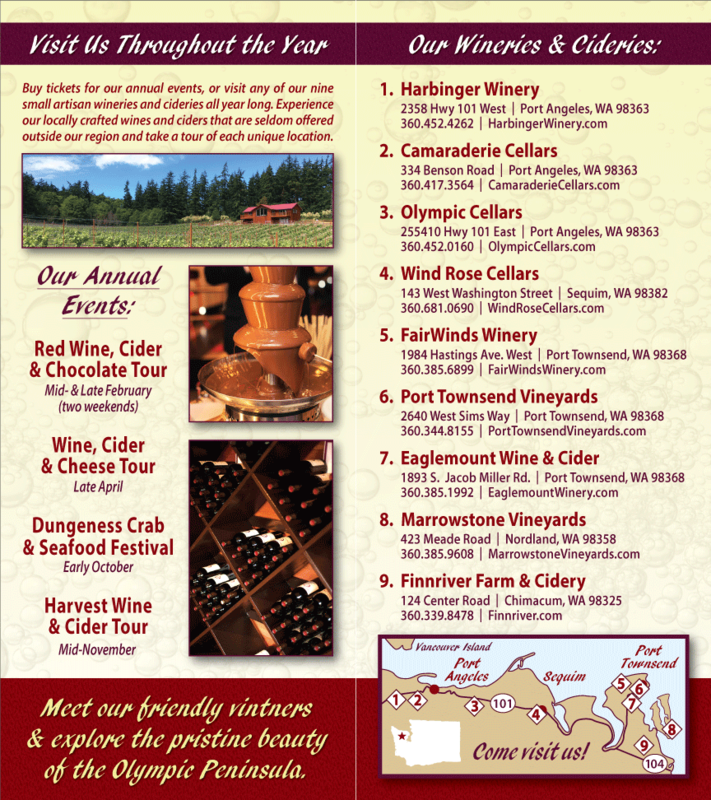 This is your chance to attend a fantastic festival and visit several Olympic Peninsula wineries. The Juan de Fuca Festival of the Arts is an annual occurrence in Port Angeles, WA. Each Memorial Day Weekend, it brings dozens of outstanding musicians, dancers and artists to the Olympic Peninsula. They come from around the world; local favorites share the stage with folks from Ghana and British Columbia. The results are electric. There is something for everyone at the Juan de Fuca Festival: see the Gothard Sisters, fiddling and step-dancing wonders; Okaidja, music and dance from West Africa; and Canada’s Juno-nominated Mark Atkinson Trio. Six venues and a street fair in the heart of downtown Port Angeles guarantee that there is never a dull moment during the Juan de Fuca Festival of the Arts. Port Angeles is a scenic setting for this festival. It is set against the majestic backdrop of the Olympic Mountains, with the Strait of Juan de Fuca and Vancouver Island to the north; there is beauty to behold at every turn. When you crave a break from crowds and music, head to one of the four Washington State Wineries in the Port Angeles area. You’ll find peaceful settings and knowledgeable pourers who will happily give you a taste of their best Washington State wines. Be sure to pick up a bottle or two of your favorite wine before leaving the Olympic Peninsula for home. You’ll want something to remember a lovely, musical Memorial Day Weekend. For more information about the festival, please go to the Juan de Fuca Festival of the Arts website.